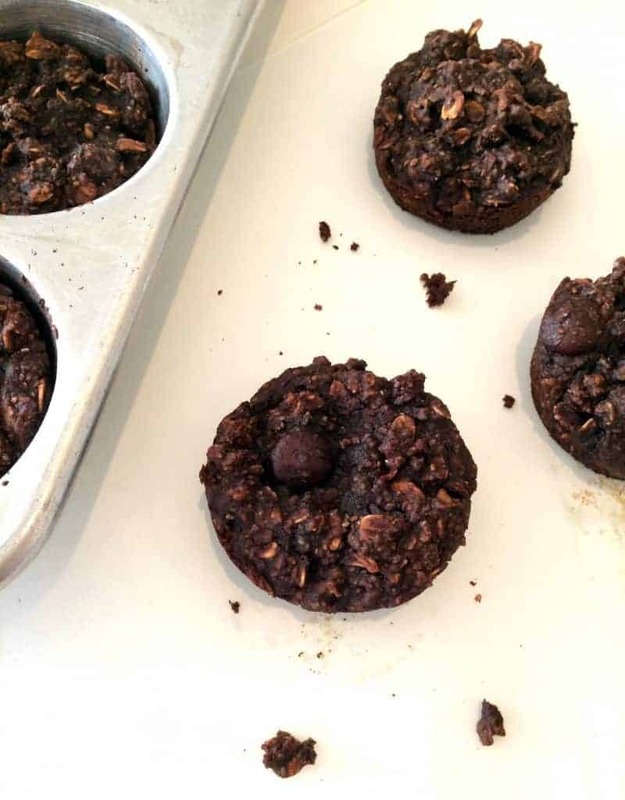 What do you call a fabulously rich and chocolatey and yummalicious bowl o’ batter that’s impossibly volatile and can’t for the life of her make up her mind as to whether she wants to be baked in a square baking dish or a muffin tin? Uhhhh brownie muffins, derrrrrrrrr! Lezzzz call dem bruffins. These whatchamacallits are betchy. Wanna know why? I’ll tell you why. 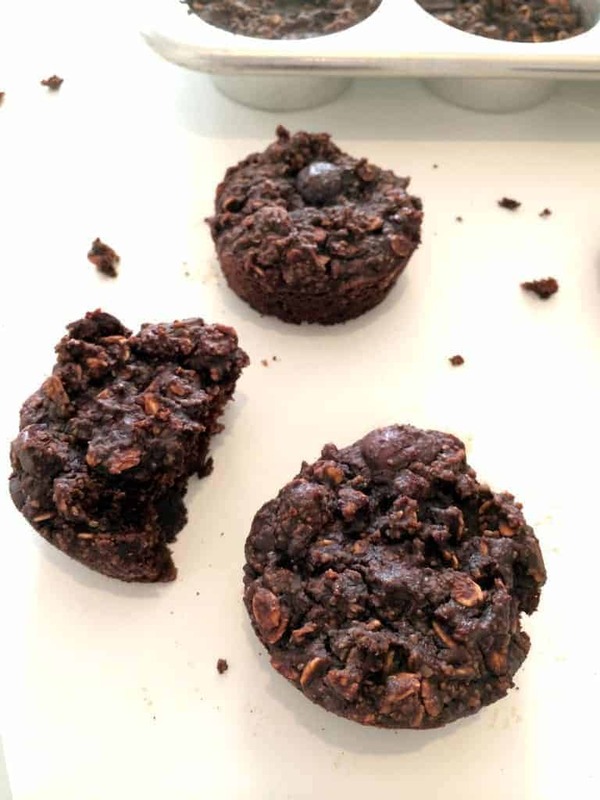 Because they stare at you in the wee hours of the morning while you’re trying to be all healthy and eat your overnight oatmeal in peace but you can’t because these brownie betches are staring you down like Regina George hashtag Mean-Girls hashtag you-can’t-sit-with-us. These bruffins have serious identity issues. But I promise that once you sink your teeth into one…and then another, and then another….you won’t give a rat’s hiney what they’re called. Trust me when I say that these bruffins NEED to make their way into your meal planning routine. Like yesterday. I used my beloved vegan MCT Lean chocolate protein powder, but feel free to use whatever kind you prefer. If you’re part of that bizarre .0000003 percent of the population that hates peppermint, you can always just leave that out. 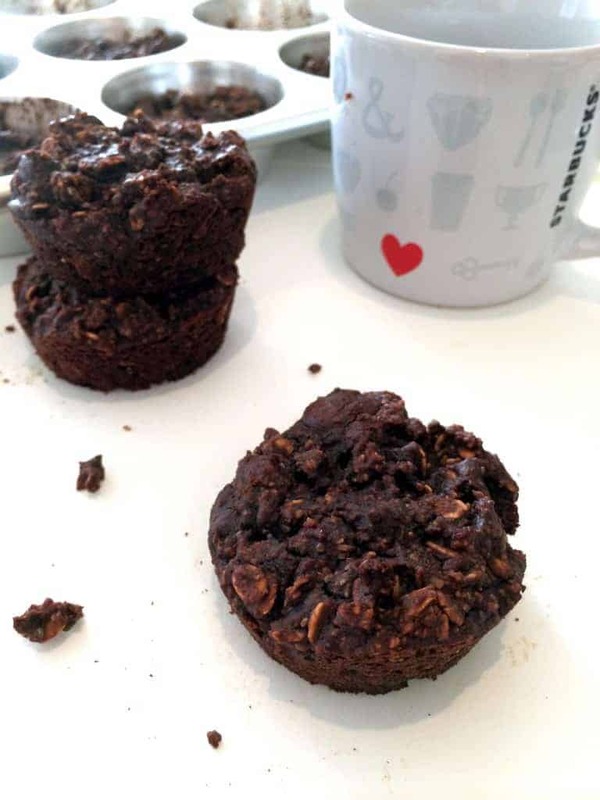 “Vegan Brownie Protein Muffins” is easier to say without the peppermint anyway. Lezz stop talking and start baking. THERE’S BRUFFINS TO BE BIRTHED!!!! A deliciously portable snack that’s packed with plant-based protein and free of refined sugar and flour! 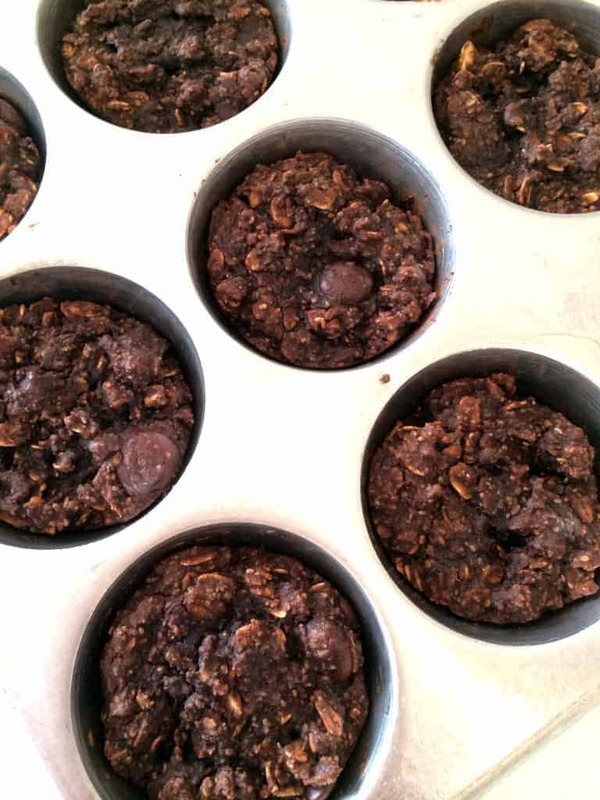 In a large bowl, stir together oats, almond flour, protein powder, cocoa powder, chia seeds, baking soda and salt. In a liquid measuring cup or medium bowl, whisk together almond milk, applesauce, maple syrup, vanilla and peppermint extract. Stir wet ingredients into dry ingredients. Fold in chocolate chips. Spoon batter into muffin tin, filling each cup about 3/4 of the way full. You’ll have 9-10 muffins. What a PERFECT snack!! I am not a mint kind of person, but I have a feeling that these would be absolutely delicious even if I leave that out :). Haha – you birthed some pretty amazing Bruffins! They sure are staring at me THROUGH THE SCREEN – in their very special “Regina George hashtag Mean-Girls hashtag you-can’t-sit-with-us” way – guess theres only one thing to do – have you bake me an extra batch STAT! Bruffins…stop coming up with all these words…I’m jelly. While I will omit the peppermint-ness (which should be reserved for gum, toothpaste and choc chip ice cream) these look pretty amazing for some serious snacking. I know you love mah words and you know i hate your anti-peppermint sentiments. But I still love you so it’s fine. I hate when people write posts that I actually want to read….like I have time for the madness!! BRUFFINS! I want to keep these on my bedside table on the off chance I wake up in the middle of the night and need a bruffin…which is definitely incentive to not sleep through the night, but meh, it’s only rest. I must eat them all!! EAT ALL THE BRUFFINS ALL THE TIIIIIIME. Bruffins… they’re also muffins that bros would enjoy. Lame joke. Sorry. Seriously, mint and chocolate is a match made in heaven. There’s really no quicker way to my heart. Well, I can think of a few quick ways to my heart, but these bruffins could definitely be one of them. Love this, too, because it looks like you prob would already have most of the stuff on-hand. Not a lame joke at all–I deifnitley was thinking about bros as I was writing that post. I agree–mint and chocolate are like peanut buttah and jelly. Resisting chocolate cake balls sounds downright impossible. At least these are kinda healthy, right?! ooooh these look so fudgey! Oh my goodness… bruffins! I die. You are too funny. In other news, these sounds delicious. Tehe thanks lady! DELISH. And then some. Sweet jesus woman, I need these. Me too! I’ve been easting WAY more sweets than usual. Dark chocolate is definitely my BFF…. I’m new to your blog, and these look delicious – just might have to be the first thing I make! How can you go wrong with a name like bruffins? Haha I just have one question – what could you substitute for the almond flour? I have recently started reading your blogs and I find them so entertaining and informative. I think you struck genius with bruffins. They look so decadent that I have to make them now. Love how simple this recipe is! Aww thanks SO much, Angela! What a sweet comment :) Enjoy! Yum!! I tried it with this vegan protein and it turned out delicious! Fabulous! Thanks for letting me know, Rob! Soo good without peppermint. I don’t remember whether I used soy or amazing meal protein powder. I did use honey as the sweetner. Thank you! would this work with cacao power + unflavoured pea protein powder? instead of the vanilla protein?